In a Twitter exchange today, Tesla CEO Elon Musk said the company will likely add solar charging technology to the roofs of future all-electric cars. "We will probably offer that as an option," Musk wrote in the Twitter exchange with Tesla enthusiasts. In answer to one enthusiast who doubted the value and charging capacity of photovoltaics on a car roof, Musk said the solar technology could come in the form of "a deployable solar shield like a retractable hard top." The all-glass roof of the Model 3. When asked by the Twitter user if a solar rooftop would be expensive, Musk was succinct: "No," he wrote. Last Tuesday, Musk announced during a conference call that the company has formed a new technology group to develop a highly durable glass for the Model 3, the company's first mass-market vehicle due out in 2017. 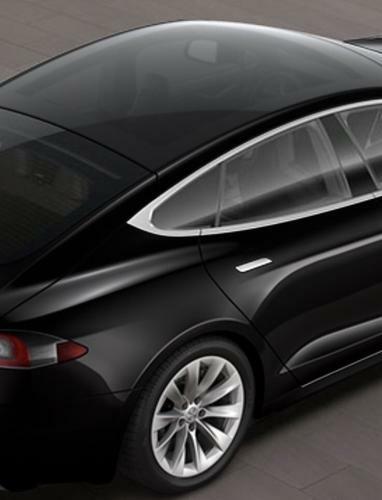 For an additional $1,500 to $2,000, Model 3 sedans will have the option of an all-glass roof, Musk said. "I highly recommend the new all glass roof on the Model S. This was very hard to develop, but it makes the interior feel amazing," Musk wrote in a Nov. 4 tweet. 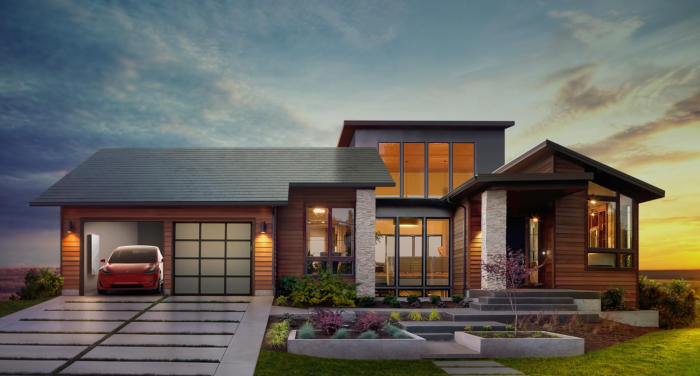 Tesla Motors' glass technology announcement came a week after the company unveiled its upcoming line of glass solar rooftop shingles for homeowners. A home with Tesla's Smooth Glass Solar Tiles installed. Tesla has announced four different versions of its solar rooftop tiles. "It is using a lot of techniques from the automotive glass business and, in case it wasn't obvious with the announcement, Tesla has created a glass technology group with some really phenomenal people," Musk said during the conference call. Tesla is planning to acquire leading rooftop solar installer SolarCity, of which Musk is also chairman. The company's shareholders are expected to vote on the merger Nov. 17. 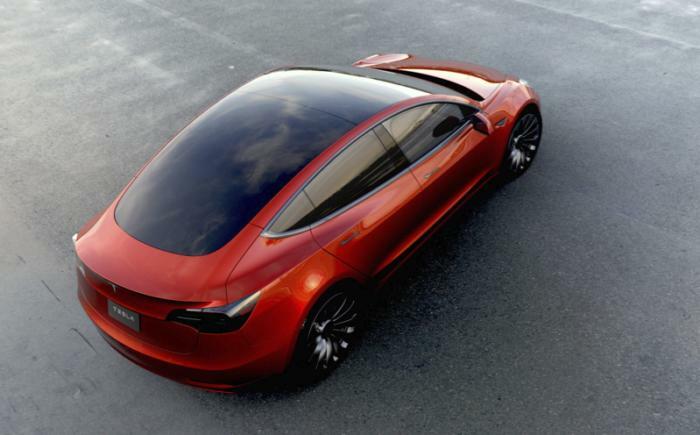 Even before the new glass solar shingles were announced, Musk tweeted that the up and coming glass tiles could also "incorporate heating elements, like rear defroster on a car, to clear roof of snow and keep generating energy." 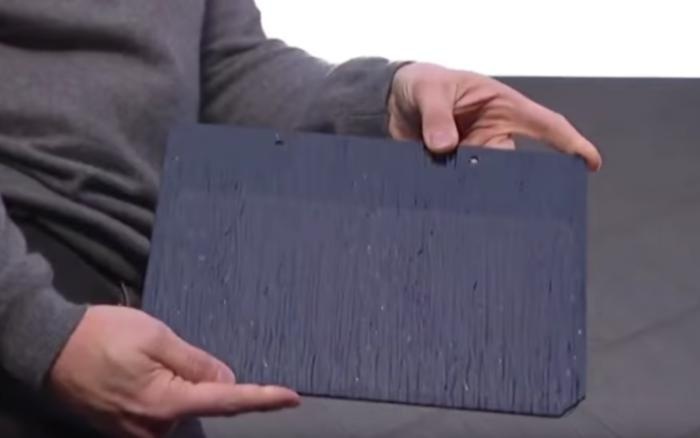 Tesla CEO Elon Musk holds a textured glass solar shingle. Hundreds of thousands of potential Model 3 owners have already reserved vehicles through a $1,000 hold fee, which translates into billions of dollars in potential new revenue for Tesla.